I have a foreclosure sale tomorrow. 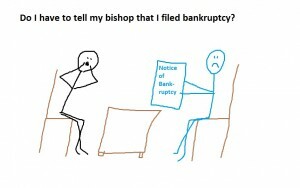 Can filing bankruptcy stop it? Yes. Even better, we can propose a way to keep the house. Let’s say you were out of work for the last 6 months and feel behind 6 payments on the mortgage. Now you’re working again. We can file a chapter 13 and propose a plan to the court to catch up on those missed payments. If you’re 6 months behind on a $2,000 a month mortgage, then you’re 6×12 = $12,000 behind. We would then propose a chapter 13 where you pay $200 a month to the bankruptcy trustee over the next 60 months to catch upon that $12,000 you were behind. Now if the foreclosure sale is tomorrow, so long as you file bankruptcy before the sale takes place, the bankruptcy will stop it. The moment you file bankruptcy, the court (federal Bankruptcy Court for the District of Utah) imposes something called the “automatic stay” which stays (stops) collection activities, including foreclosure, garnishment, and repossession. Even if the mortgage company doesn’t know that you filed bankruptcy and still conducts the sale, you win. Bankruptcy trumps foreclosure, and if the bankruptcy was filed first, then the foreclosure sale was not valid. This entry was posted in Utah Bankruptcy on December 26, 2013 by robertspaynelaw. The chapter 7 trustee just filed a motion for turnover, what do I do? Second, turnover whatever the trustee is demanding you turnover. In this case, my client was required to turnover her 2012 tax refunds, and she didn’t. It was only $700, but the trustee had sent her letters demanding that she give that money to him so that he could pay creditors something from her bankruptcy estate. She spent the tax refund. After she told me, I set her up on a payment plan with the trustee. If we hadn’t done this, he would then file a motion for denial of discharge, and her chapter 7 would have been thrown out, with a dismissal, no discharge, a money judgment against her in favor of the trustee, and even worse, her discharge would have been denied, meaning that she could never file a chapter 7 to discharge those same debts. This is not legal advice. If you need legal help call 801-980-1313. This entry was posted in Utah Bankruptcy on December 18, 2013 by robertspaynelaw. This blog will simply list questions I get asked on a day-to-day basis, and I’ll try to answer them briefly, but with enough information to cover the situation. No. But we have to prove that it’s not your money.On the day we file bankruptcy, we are required to list all bank accounts in which you have an ownership interest, and if your name is on the account, then you have an ownership interest. 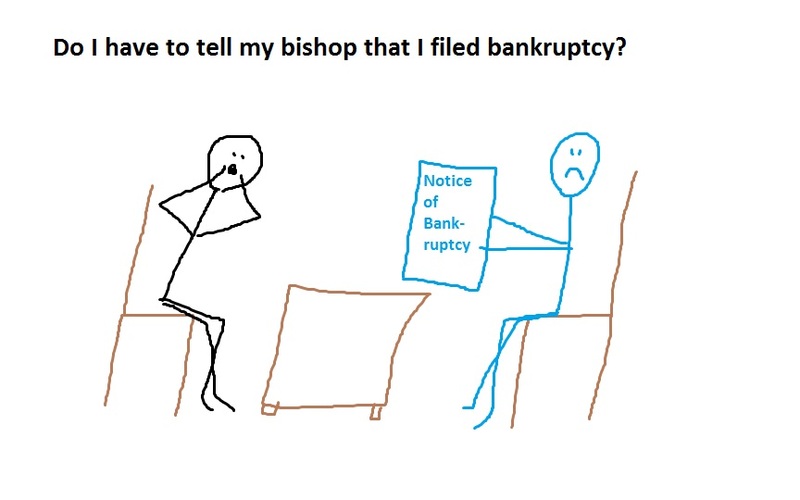 When we meet with the bankruptcy trustee about a month after filing your case, he will ask for a bank statement showing the balance on the date of filing.This means that we generally like to file on a Thursday when the account is low before your Friday payday.With missionary accounts, or any joint account, it becomes a little more problematic. if the child is over 18 and you can prove that it was his/her funds that went into the account, then we can successfully that it’s not your money, and it’s not the bankuptcy estate’s money.However, if your child is under 18, then it’s your money, and the trustee will order you to empty that bank account, pay the trustee, and then the trustee will use the money for the benefit of your creditors. Spiritually, yeah, it should help.Financially, making charitable contributions may help your case, but it’s complicated. If are a below median debtor (your income is lower than the average income for your household size, it doesn’t matter whether or not you pay your tithes or donations to a charity. If you are above median, there is pretty much a dollar for dollar deduction in the amount you have to pay back your creditors if we have to file a chapter 13.For instance, if the median income is $50,000 a year and you’re making $56,000, then you’re above median. 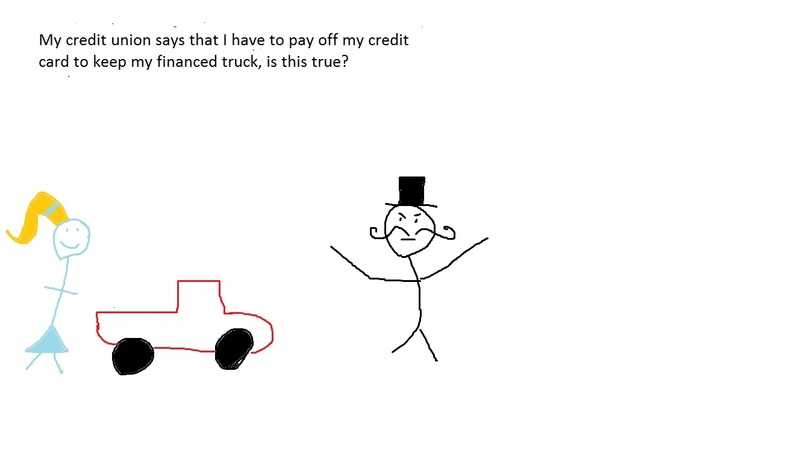 You have $6,000 of disposable income a year. If you are paying $500 a month in tithing, then you’re paying out $6,000 a year to charity, and you have no disposable icome left over.However, it needs to be consistent. You cannot suddenly “come to Jesus” a week before filing bankruptcy and expect it to help your median income figures. The trustee will ask for verification, such as a year to date printout from your ward clerk, to prove that you’re actually donating money. 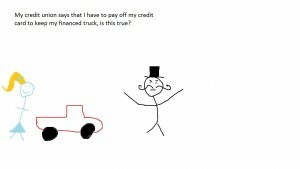 Bankruptcy discharges your personal liability for the vehicle loan, but it doesn’t stop the bank from seeking compensation from a third party who did not file bankruptcy.For example, if Mom and Dad were on the loan, then the bank can sue them.If the loan required insurance and you return the car with body damage, then the bank can file a claim against that insurance to repair the body damage. This entry was posted in Utah Bankruptcy on December 16, 2013 by robertspaynelaw.